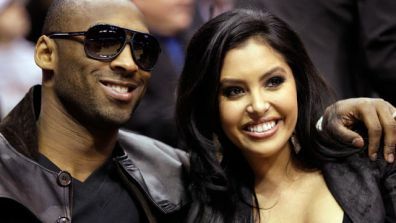 LOS ANGELES – Kobe Bryant's soon-to-be ex-wife has been awarded $75 million in a divorce property settlement, TMZ reported Friday. The deal, which has already been finalized, sees mother-of-two Vanessa Bryant take close to half of the former couple's total assets, estimated at around $150 million. She was awarded all three of the family's mansions in the Newport Beach area, sources told the website. Vanessa Bryant already lives in one of the homes, her mother lives in another of the estates, and the third is a property that was recently completed after a two-year construction project. The Los Angeles Lakers star's wife of 10 years filed for divorce in December amid reports of his numerous extramarital affairs. She is reportedly seeking joint custody of their two daughters, Natalia, eight and five-year-old Gianna. The Bryants married without a pre-nuptial agreement in 2001 when he was 21 and she was 18. The union was opposed by the star's family and he remained estranged from many of them until the birth of the couple's first child. Kobe Bryant admitted adultery in 2003 after a hotel employee accused him of sexual assault -- a case that was later dropped.